Dr. Dov Reichman serves as a consultant for companies and investors in a range of technological fields and gives ongoing decision-making support with regard to investments and business development. His consulting services are based on his considerable experience with and knowledge of technological developments in the world of chemistry and materials, nanotechnology and green industry. He offers professional assistance in locating innovative technologies that are consistent with company goals or the investment tracks sought by investors. Assessment of a technology involves comparing it with existing technologies on the market and with anticipated market trends and innovations. Formulating recommendations for innovative technological fields that can contribute to the Company’s relative advantage in the market, to add improved and more profitable products and services, and to strengthen the Company’s branding as an innovative and perhaps green company that contributes to society and the community. Dr. Dov Reichman is a partner in several investment groups and represents private investors (Angel Investors) who are interested in investing in startups and more established technology companies already on the market. In addition to raising capital, he examines the technology and the company and presents an investment assessment based on the technological and economic potential. This assessment can be provided for startups and mature companies already on the market. Other elements considered in the assessment: the company’s worth, an evaluation of patents and knowledge, the feasibility of the technology’s further development, and the anticipated market penetration and return on investment. Dr. Dov Reichman accompanies entrepreneurs and start-ups as a mentor and helps to guide the development of the entrepreneurial process, fundraising, and the technological and business procedures necessary for establishing the initiative’s value and increasing the probability of realizing the business’s success. The mentoring process is based on many years of experience in working with start-up companies, as a CEO, as a founding partner, and as a director of technological firms. Strengthening familiarity with the characteristics of the high-tech world, technology, targets and challenges to business entities seeking to expand their operations with clients in the advanced technology sector or wishing to develop an innovation program for their business. 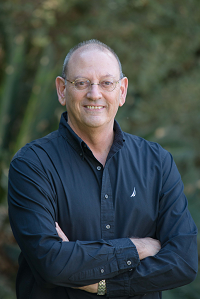 Dr. Dov Reichman serves as a director in public and private companies. He is a graduate of courses and training sessions for directors and continuing education programs in accounting for management, and a member of the Israeli Directors’ Union (IDU). Dr. Reichman is experienced in the processes of patent and technological commercialization, and the development of a lucrative business interface between academia and industry, including the management of a company’s IP strategy.